Crofters Foods is a leader in organic food production. Founder, Gerhard Latka, has been innovating in the production of jams, jellies, fruit spreads and conserves with all natural ingredients. Wanting to offer customers more information about their products, they worked to develop an innovative printed code to provide easy look-up about the origin of its products. 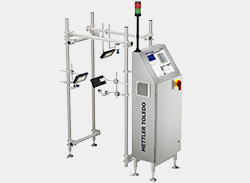 The company had a history working with METTLER TOLEDO included the use of checkweighers and metal detectors. This provided a firm foundation for adding more product inspection equipment. 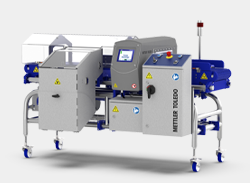 As a trusted partner, METTLER TOLEDO worked with the company to integrate a vision system to inspect labels, codes and so much more. The Vision Inspection system works in parallel with their proprietary software solution to verify label quality and ensure every label has the right coding information. Download your free Crofters Foods case study today. "Each unique QR code serves as the 'name' of the jar and provides consumers with a lot number for that particular jar. Every consumer who wants more information can use a smartphone to scan the code and find out exactly what batch this product was made from" Latka enthuses. With this desire to provide customers so much information, comes challenges in applying the printed codes. A vision system is used to verify the code presence and print quality, along with monitoring for label tears or skew. These thorough inspections ensure every package meets their high-quality standards and presents the Crofters Food brand as a premier manufacturer. With installation of this automated system, the line operators can focus on more critical line efficiencies. Previously the Canadian and US English-only labels were manually inspected. Being very similar, but with different legal requirements made for a challenging manual inspection at such high production speeds. 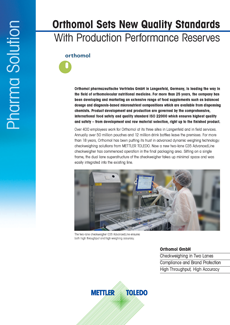 "These vision systems can be integrated with METTLER TOLEDO's own ProdX data collection system, so that the plant management can have real-time access to exactly what is happening on the line at any given moment." 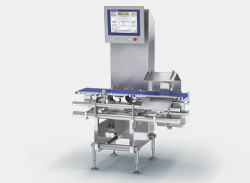 This extra data collection capability is an especially attractive feature for Latka, who says the company already makes good use of the "tremendous" amount of data generated by the METTLER TOLEDO inline checkweigher system installed on the new line about a year ago.